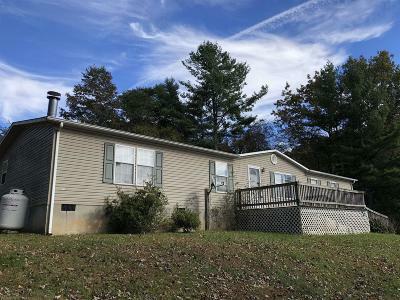 Great home just 12 miles from Town of Floyd. Enjoy country living in this very well maintained home, or use it for its great investment potential. Spacious front porch and covered back deck, with ramps on both for easy access. Master bedroom includes a walk-in closet and large bathroom with both a shower and a spa tub. Cozy up in the living room around the gas fire with built-in bookshelves, and open layout to the kitchen. Also includes covered parking so no need to get into a hot car or clear ice off your windshield! Directions: From Town Of Floyd Stoplight, Head East On Us 221 N For 9.6 Miles (Toward Check). Turn Left Onto State Route 661 (Kings Store Rd) For 1.4 Miles. Bear To The Right Onto State Route 665 (Good Neighbours Rd) For 1.1 Miles. House Is On The Right.